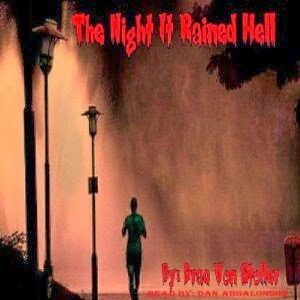 Dan Absalonson | Author of SciFi & Fantasy: The Night It Rained HellA New Audiobook I Narrated and Produced is Live! I had the privilege to narrate another book for Drac Von Stroller. This one is called "The Night it Rained Hell." It's a terrifying tale and once again is fleshed out with sound effects that really add to the dire environment the story takes place in. Head on over to Audible and have a listen to the sample. The text lent itself really well once again to a rich tapestry of sound effects including streets full of people going through some pretty terrible stuff. Support your indie author and narrator and pick up this title. You can find it at Audible, Amazon, and in iTunes. It's another very short one, but worth the small price you'll pay to hear a whole lot more than just my voice narrating the tale. Thanks for stopping by! Quality, Assured | I was quoted on the ACX Blog!